04/04/14 -- EU grains finished lower on the day and lower for the week. May 14 London wheat closed GBP0.30/tonne easier at GBP163.45/tonne, whilst new crop Nov 14 was down GBP1.55/tonne at GBP151.95/tonne. May 14 Paris wheat closed EUR0.25/tonne weaker at EUR206.50/tonne, Jun 14 Paris corn was down EUR1.50/tonne at EUR184.25/tonne and May 14 Paris rapeseed fell EUR2.25/tonne to EUR408.75/tonne. For the week, May 14 London wheat fell GBP3.80/tonne and Nov 14 shed GBP6.15/tonne. May 14 Paris wheat closed EUR3.25/tonne lower versus last Friday, with Jun 14 corn down EUR4.00/tonne and May 14 rapeseed losing EUR3.50/tonne. Following the recent run-up in prices, the wheat market is just starting to look a little jaded. Chicago wheat, which jumped nearly 30% from late January through to March 24th on what was largely speculative buying on the Black Sea issue and potential US winter wheat losses, has subsequently retreated by 6%. Still, a net gain of almost 24% isn't to be sniffed at. European grains have been a follower of the US spec-led rally, and have subsequently not put in such impressive performances. Nevertheless, London wheat tonight stands 9% higher than the late January low, whilst Paris wheat is up by 8.7%. Dryness issues in Germany and some other parts of central and eastern Europe should receive some relief with better than normal moisture in the forecast across the next 14 days. Ukraine and most of Russia's winter grains areas are also in for a decent shot of precipitation in the next two weeks, which should be beneficial for crop development. Early spring grain planting in these areas has been going well, and those crops that are now in the ground should also benefit. The frenetic pace of EU soft wheat exports has slowed up a little, but has already beaten the 2008/09 record of 22 MMT. With 596 TMT of export licences granted this past week, these now stand at 23.3 MMT, up 49% versus 15.6 MMT this time a year ago. Corn keeps coming in though, with Brussels issuing 391 TMT of import licences, taking the 2013/14 seasonal total so far to 10.5 MMT, a 20% rise on last year. Europe has now exported 80% of the USDA's forecast for full season wheat exports, but it has also imported more than 95% of the projected corn total. The French crop looks like being early, with maturity well ahead of a year ago. FranceAgriMer reported that 90% of the French winter wheat crop is now displaying an ear of at least 1cm versus only 18% this time a year ago. 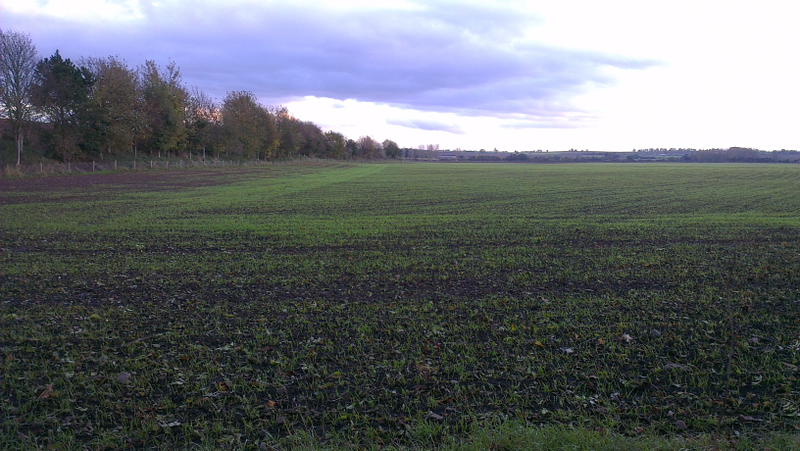 Winter barley by comparison is 96% at the same stage compared with only 17% a year ago. The French spring barley crop is now 97% sown versus 90% this time last year, and 68% of the crop is emerged versus 30% a year ago. The 2014 corn crop is now 2% planted, they say. Winter wheat crop conditions are rated 75% good/very good, unchanged from a week ago and 10 points ahead of last year. The winter barley crop is rated 73% good/very good, which is up a point on a week ago, and compares favourably to 66% this time last year. 03/04/14 -- Soycomplex: Beans closed higher, with the best gains at the front end once again. Weekly export sales came in at a net 66,200 MT for old crop, including one sale to China (51,200 MT), although there were also cancellations from unknown (92,500 MT). There were small net sales of 19,300 MT for 2014/15. Trade expectations were for old crop sales to be anywhere from 200 TMT negative to 200 TMT positive, and with new crop sales in the region of 300-550 TMT. The market seemed to think that anything that wasn't negative on old crop was bullish. Weekly shipments of 659,400 MT were down 8 percent from the previous week and 31 percent from the prior 4-week average. The primary destination was China (312,000 MT). The US has now shipped 97.3% of the USDA target for the season and total commitments, including unshipped sales of 4 MMT, remain at 107% of that goal. Old crop meal export sales of 307,800 MT for 2013/14 were strong, up 94 percent from the previous week and 55 percent from the prior 4-week average. That also increases domestic US soybean demand. Informa estimated the Brazilian bean crop at 86.75 MMT versus a previous estimate of 88.8 MMT. FC Stone estimated Brazil’s soybean crop at 87.64 MMT versus a previous estimate of 87.51 MMT. Informa raised its estimate for Argentina's soybean crop by 0.5 MMT to 54.5 MMT. The FAO cut their forecast for the global soybean crop in 2013/14 by 2 MMT from last month to 281 MMT "primarily on unfavourable weather conditions affecting Brazil’s crop." MDA CropCast forecast big soybean production increases for 2014/15 however, with the world crop up 8%, including US output up 12.6% to 97.71 MMT, Brazilian production up 10.8% to 95.67 MMT (both new records) and a 12.5% increase from India plus a 6.5% rise from Paraguay. Fund money was estimated at being a net buyer of around 3-4,000 bean contracts on the day. May 14 Soybeans closed at $14.75 1/4, up 13 cents; Jul 14 Soybeans closed at $14.54 1/4, up 13 cents; May 14 Soybean Meal closed at $480.10, up $3.60; May 14 Soybean Oil closed at 41.67, up 82 points. Corn: The corn market closed around 4 cents higher, flirting with either side of $5/bu on front month May 14, before closing at exactly that level. Weekly export sales of 960,600 MT for 2013/14 were down 32 percent from the previous week and 12 percent from the prior 4-week average. There were several switches of sales from China/unknown into new buyers. There were also 221,400 MT worth of Chinese cancellations. Reuters reported that this takes the volume of US corn sales to China that have been confirmed by the USDA to more than 1 MMT. Separately, the Chinese Xinhua Daily reported that China had rejected a further 65,225 MT of US corn/DDGS due to unapproved GMO content. Weekly US shipments held up well at 1,425,700 MT, they were up 16 percent from the previous week and 36 percent from the prior 4-week average. Total US commitments on corn now match the USDA's target for the season. Note though that a much larger volume of that aim (18.5 MMT) is currently unshipped than is the case for soybeans. Informa now has the Brazilian corn crop estimated at 68.0 MMT versus a previous estimate of 65.45 MMT. For the Argentine corn crop they now go 23.0 MMT versus a previous estimate of 22.6 MMT. They also increased their 2014/15 outlook for Ukraine corn by 3 MMT to 26 MMT, raising plantings from 4.2 million ha to 4.7 million ha. FC Stone estimated Brazil’s corn crop at 71.24 MMT versus a previous estimate of 71.5 MMT. The FAO upped their forecast for the world 2013/14 corn crop by 4 MMT to a new record 1.01 billion tonnes "reflecting upward adjustments in several CIS and Southern American countries." They forecast 2013/14 world corn ending stocks up 46 MMT on last year (and 1 MMT more than last month) to 176 MMT. "Stocks (ending in 2014) are to replenish significantly as inventories rise in Canada, China, Ukraine and the US," they said. MDA CropCast forecast a rise in global corn production of 2.1% in 2014/15. They see the US crop rising 4.3% to 362.7 MMT, despite an anticipated decline in plantings, on improved yield prospects. Current US weather conditions are not however conducive to timely corn sowings. It's still early days though, and the US did harvest a record corn crop last year when plantings were also late. May 14 Corn closed at $5.00, up 4 1/4 cents; Jul 14 Corn closed at $5.05 1/4, up 4 1/4 cents. Wheat: The wheat market recovered from two days of losses to finish with gains of around 5-9 cents across the three exchanges. "The bulls may view today’s trade constructive and might be right, but I view it as a toothless recovery after a sharp selloff," said Benson Quinn Commodities however. Weekly export sales sales of 336,400 MT for delivery during the 2013/14 marketing year were down 16 percent from the previous week and 27 percent from the prior 4-week average. There were also sales of 310,500 MT for delivery during 2014/15. That was in line with trade estimates which were for sales of 200-400 TMT each for both old and new crop. Exports of 523,100 MT were in line with what we have seen recently. Total commitments are now at 95% of the USDA's forecast for the 2013/14 which ends in May. The 5-year average for this time is 98%. Informa had 2014/15 US winter wheat production estimated at 1.616 billion bushels, up 82 million from last year. They have the US hard red winter wheat estimated at 953 million bushels versus 744 million a year ago. They see US soft red winter wheat at 447 million versus 565 million a year ago. The US white wheat crop was estimated at 216 million versus 225 million a year ago. The total 2014/15 US winter wheat yield was estimated at 46.5 bu/acre versus 47.4 bu/acre a year ago. The FAO estimated the 2013/14 world wheat crop unchanged from last month, but up 56 MMT on a year ago at a record 716 MMT. Ending stocks were unchanged on a month ago, but up 21 MMT on a year ago at 179 MMT. "Stocks (ending in 2014) up sharply from their opening levels largely driven by higher inventories in Canada, China and the Russian Federation," they said. "In the US, winter wheat conditions are mixed and planted area is slightly down relative to last season. Continued dryness in the south-central US is a growing concern, however other wheat growing regions in the country are experiencing closer to normal moisture conditions supporting the winter wheat crop and the upcoming spring wheat planting," they added. MDA CropCast estimated the US 2014/15 all wheat crop down 1.1 MMT from last week at 57.9 MMT, a 1.4% drop on last year. Kuwait bought 30,000 MT of optional origin barley for July shipment. A Reuters poll estimated that Egypt would import 10.5 MMT of wheat in 2014/15 - similar to the USDA's forecast for 2013/14. May 14 CBOT Wheat closed at $6.76, up 6 3/4 cents; May 14 KCBT Wheat closed at $7.44, up 5 1/4 cents; May 14 MGEX Wheat closed at $7.30 1/2, up 8 1/4 cents. 03/04/14 -- EU grains traded mostly firmer, as US wheat rebounded a little from it's slump, although fresh news was relatively limited. The day ended with May 14 London wheat up GBP1.00/tonne to GBP163.75/tonne, and with new crop Nov 14 London wheat closing GBP0.85/tonne firmer at GBP153.50/tonne. May 14 Paris wheat closed EUR0.25/tonne higher at EUR206.75/tonne, Jun 14 Paris corn was up EUR1.00/tonne at EUR185.75/tonne, whilst May 14 Paris rapeseed rose EUR1.25/tonne to close at EUR411.00/tonne. The April look at global crops from the FAO's Agricultural Market Information System (AMIS) left world wheat production in 2013/14 unchanged at a record 716 MMT, which is 3 MMT more than the USDA currently estimate. The world corn crop in 2013/14 was raised 4 MMT from last month to a new all-time high of 1.01 billion MT. This was due to "reflecting upward adjustments in several CIS and Southern American countries," they said. "In Russia conditions are good in most growing regions, however, some fields in the south may have been affected by frost damage due to a sharp cold snap in early March. The crop is mostly in vegetative growth phase, having broken winter dormancy early due to the unseasonably warm weather. "In Ukraine, conditions remain generally favourable although subsurface moisture is low in many areas due to persistent dryness. Winter crops have resumed vegetative growth in most growing regions. In the EU overall prospects are promising. "Europe continued to experience warmer than usual weather and therefore winter crops are advanced in western and central Europe. Frost kills were very limited but risk of damage is still possible in north-eastern Europe in case of an early spring frost. 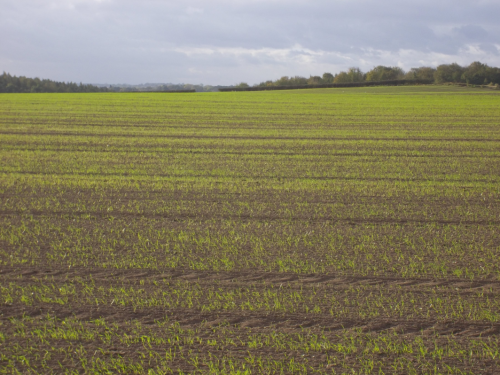 A dry period since the beginning of March improved the excessively wet situation that affected several regions and provides favourable conditions for field-work and sowing of spring cereals. By contrast, the Czech Republic, south-eastern Germany, and Bulgaria, experienced one of the driest winters and therefore rain is needed," they observed. MDA Crop Cast forecast the world corn crop rising 2.1% this year, helped by a jump of 4.3% in the US despite the anticipated lower planted area due to better yields. They also estimated a sharp rise in global soybean production for 2014/15, up 8% to 292.62 MMT. America will see a 12.6% rise in output to a record 97.71 MMT, whilst Brazil is set to harvest 10.8% more than this year's record with a crop of 95.67 MMT. India and Paraguay too will see significant percentage increases in soybean production, they said. It is to be hoped that world demand, and that from China in particular, holds up in 2014/15 with all these extra soybeans in the pipeline. Ukraine indicate that early spring plantings are well ahead of a year ago and that everything is going well. Agritel note that most of what has been planted so far this year is the relatively "low maintenance" crop that is spring barley. "For crops that are more expensive to produce such as corn, the financial health of the majority of farms suggests a decline in plantings," they suggest. Chicago Dives - Are The Funds Getting Cold Feet? 02/04/14 -- Soycomplex: Beans closed a see-saw session sharply lower on the nears on profit-taking, retreating from the overnight highs which were close to $15/bu on front month May 14. Fresh talk of Chinese cancellations, amidst continued gossip that buyers there are having difficulties obtaining letters of credit weighed on the market. Funds may want to own soybeans, but they don't actually want to take delivery of them. If China doesn't either then the soybean market is in trouble, especially given the large long position that spec money holds. A run of bad economic data and further Chinese cancellations and/or deferrals could spark a unified (and undignified) fund money scramble for the exit which that wouldn't be pretty at all. Various analysts are re-tuning their estimates for the Brazilian 2013/14 soybean crop. Some are going up, and others going down, but the number around which they are mostly converging is 86.5-87.0 MMT. That's a record crop, although not as large as some of the estimates from earlier in the season which were in the 90-92 MMT region. Most now see the Argentine crop at around 54 MMT, the second highest in their history. That's a bit better than some early season estimates when Argentina was still dry. 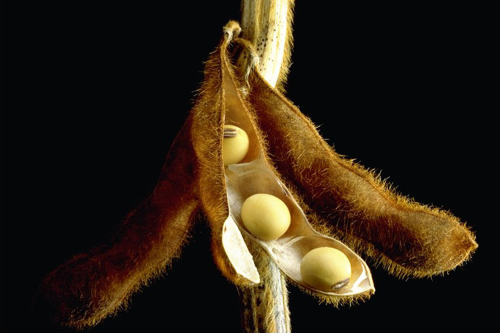 "February was extremely wet with 150-250% of normal rainfall, increasing yields in pod-filling (Argentine) soybeans," said Martell Crop Projections. The Brazilian Ministry said that the country had exported 6.23 MMT of beans in March, up from 2.79 MMT in February and versus only 3.54 MMT in March 2013. Hearing that one Memphis consultant forecast US soybean plantings at 82.4 million acres this year, which would be a new record by some distance, and is almost a million higher than the USDA said on Monday. Weekly export sales due tomorrow will be of interest to see if any Chinese cancellations materialise. Old crop sales are expected to be anywhere from 200 TMT negative to 200 TMT positive, with new crop sales in the region of 300-550 TMT. Fund selling in beans was estimated at around 10,000 contracts on the day. May 14 Soybeans closed at $14.62 1/4, down 22 1/4 cents; Jul 14 Soybeans closed at $14.41 1/4, down 16 cents; May 14 Soybean Meal closed at $476.50, down $6.20; May 14 Soybean Oil closed at 40.85, down 55 points. Corn: The corn market gave up all of yesterday's gains and then some, on what was a bit of a bad day at the office for the entire grains sector. As with beans, front month May 14 took the biggest hit, closing with double digit losses and falling back below the $5/bu mark it had taken so long to breach. The $5/bu level has apparently triggered heavy producer selling, and if the funds aren't there to stand up and continue to put their money where their mouth is then the rest of the trade isn't going to do it for them by the looks of it. Fund money was estimated to have finished the day net sellers of around 12,000 contracts. With second crop corn only just finished planting in Brazil, we still have a fairly large disparity of opinion as to the overall size of the total crop there. Informa estimated Brazil’s 2013/14 corn crop at 67.95 MMT. Agroconsult said 71.2 MMT and Dr Cordonnier went for 70.0 MMT versus a previous estimate of 68.5 MMT. 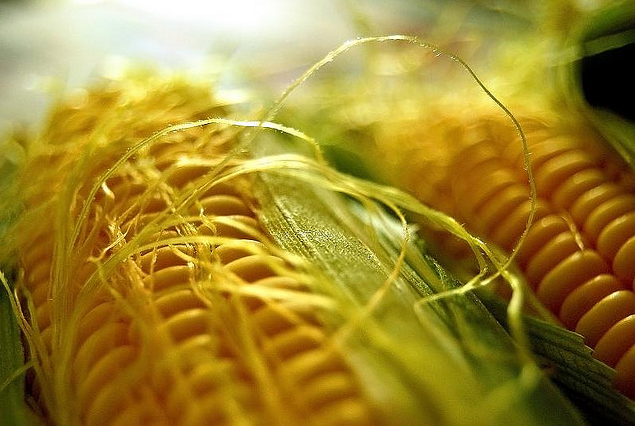 The Brazilian Ministry pegged March corn exports at 577,700 MT versus 1.06 MMT in February and 1.61 MMT in March 2013. Dr Cordonnier estimated Argentina's 2013/14 corn crop at 23.5 MMT versus a previous estimate of 23.0 MMT. Israel bought 35,000 MT of optional origin corn (possibly from US or South America) for May/June shipment. Weekly US ethanol production jumped to 922,000 barrels/day from 885,000 bpd the previous week. Even that is still not enough to meet the USDA's target for the season though which is now around 936,000 bpd. Hearing that one firm pegged 2014 US corn plantings at 92.2 million acres. The USDA said on Monday that US farmers would "only" plant 91.7 million acres of corn this spring. The Goldman Sachs roll, in which they will be rolling their long May positions forward, is expected to begin April 7th and last for 5 days. Other large funds will also be doing likewise, which could put the nearby month under a bit of pressure. Trade estimates for tomorrow's weekly export sales report are in the region of 1 MMT for old crop, with new crop sales of 0-200 TMT. May 14 Corn closed at $4.95 3/4, down 11 3/4 cents; Jul 14 Corn closed at $5.01, down 11 1/2 cents. Wheat: The wheat market slumped for a second day on ideas that the recent substantial "risk premium" that was built into the market to cover the Russian/Ukraine problem and weather-related production losses on the US Plains may have been overdone. Recent fund enthusiasm to own wheat was tested, getting little in the way of support from the end user, or corn/beans today. For wheat futures "technical resistance adds to an already dim fundamental picture," said Benson Quinn Commodities. China's government had wheat up for auction again today. They sold only 28.26% (246,319 MT) of the offered 871,525 MT. That's even worse than last week when they only sold around a third of the circa 800 TMT of wheat on offer. Taiwan Flour Mills are tendering for 92,550 MT of US milling wheat for June shipment. Japan seeks 120,000 MT of feed wheat and 200,000 MT of feed barley in a tender for July shipment. Israel cancelled a tender for 20,000 MT of optional origin feed wheat for May/June shipment. Ukraine's Ag Ministry said that the country has planted 2.385 million hectares of early spring grains versus only 678,000 hectares a year ago. There are some decent rains in the forecast for Ukraine in Apr 6-18 period after what has been a relatively dry winter. Russia continues to export grain at a decent pace, with Rusagrotrans increasing their forecast for both March and April exports to around 1.6-1.7 MMT. They now forecast exports for the full season at 24.3 MMT, the second largest ever. The USDA's FAS in Tunisia said that the 2014/15 grain harvest there could rise from 1.29 MMT to 1.9 MMT, including 1.3 MMT of wheat following good rains. Copa Cogence forecast a small decline in wheat production in France (down from 38.5 MMT to 38.0 MMT) and Germany (from 24.9 MMT to 24.6 MMT) this year. Barley production in the two is seen rising a little, from 10.3 MMT to 10.9 MMT in France, and from 10.4 MMT to 10.6 MMT in Germany. Overall the EU wheat crop is seen 2.7% higher, they estimate. Trade forecasts for tomorrow's weekly export sales report are seen at 200-400 TMT each for both old and new crop. May 14 CBOT Wheat closed at $6.69 1/4, down 16 cents; May 14 KCBT Wheat closed at $7.38 3/4, down 14 3/4 cents; May 14 MGEX Wheat closed at $7.22 1/4, down 13 cents. 02/04/14 -- EU grains closed mostly lower, in line with a fall in US wheat prices last night which extended into today's session. May 14 London wheat closed GBP2.25/tonne easier at GBP162.75/tonne, and with new crop Nov 14 GBP2.85/tonne lower at GBP152.65/tonne. May 14 Paris wheat closed EUR1.50/tonne lower at EUR206.50/tonne, Jun 14 Paris corn was down EUR2.25/tonne to EUR184.75/tonne and May 14 Paris rapeseed was unchanged at EUR409.75/tonne. Chicago wheat gained almost 30% between late January and late March, following the return of spec money to the fray after Russia decided to help itself to Crimea. Some consolidation was perhaps maybe therefore due, and as European markets were closing, CBOT wheat was trading more than 40 cents off those late March highs trimming 5.7% off those gains. A slightly wetter outlook for winter wheat on the US Plains is partly behind the recent decline, and also perhaps signs that tensions over the Russia/Ukraine problem are easing and that grain exports out of the region appear to have been largely unaffected. Rusagrotans raised their forecast for Russia's April grain exports to 1.6-1.7 MMT, and increased their estimate for full season exports from 23.7 MMT to 24.3 MMT. This would be the second highest foreign sales in Russia's history, they said. They also noted that the country had already exported more than 3 MMT of corn, and will have shipped over 4 MMT (record) by the end of the season. Russia's previous record corn exports were 1.9 MMT in 2011/12. Meanwhile, Ukraine's 2013/14 marketing year to date grain exports are now at 27.46 MMT, up more than 40% on a year ago. Crisis, what crisis? Concerns remain regarding dryness in Russia and Ukraine, although the 15-day forecasts are much wetter for both. Spring plantings meanwhile are progressing well. In Europe crops are also generally progressing well, although rain would be nice in Germany and some eastern European countries. The 15 day forecast doesn't look too bad for these areas either. Crop conditions in France are better than they were a year ago, and the mild winter means that crop development is advanced. Agritel said that French rapeseed is flowering 15 days ahead of normal. Copa Cogenca have released their first forecasts for EU crop production this year, forecasting a 2.7% rise in soft wheat output, a 3.6% hike in the corn crop and a barley harvest similar to last year's. For the UK specifically, they see the wheat crop rebounding 25% on last year's 11.9 MMT to 14.85 MMT. With plantings reported to be up 19% as of Dec 1st, that might even be a little on the low side given the potential for further late winter and even spring wheat plantings, along with what could also be better yields. Copa Cogeca forecast the UK all barley crop falling from last year's bumper 7.1 MMT to 5.9 MMT. They see the UK OSR crop at 2.5 MMT, up 18% on last year. They even give us an estimate for the 2014 UK corn crop, something that most other analysts don't - 1.9 MMT, the same as last year. Chicago Closing Comments - Is The Wheat Rally Running Out Of Steam? 01/04/14 -- Soycomplex: Beans closed sharply higher, with fund money stepping in for around a net 10-12,000 contracts on the day for a second session running. Chinese industry analysts said that the domestic crush there for the last week of March was 1.4 MMT, up 16% on the previous week. They estimated March soybean imports at 5.1 MMT, rising to 6.5 MMT in April. Reuters reported that a 60 TMT cargo of Brazilian soybeans sold to China had been resold/redirected to South Africa. Benson Quinn said that "a proposal in the Senate to retroactively reinstate the biofuel, i.e. biodiesel, $1 fuel credit was deemed supportive with soyoil rebounding sharply." They also said that private analysts calculate that US 2013/14 soybean ending stocks could be 20-25 million bushels lower than the USDA's March estimate of 145 million due to a higher domestic crush and increased exports. Extreme old crop tightness looks like prevailing for the time being. US farmers are expected to plant 5 million more soybean acres this spring though, according to the USDA. The current late start to spring in the Midwest might delay corn plantings and increase that figure even further too. Already, some are also suggesting that Brazilian growers will increase their soybean plantings for 2014/15, with some private production estimates in the bin-busting 95-97 MMT area. Any sign of faltering Chinese demand could therefore be pretty bearish going forward, especially with fund money sitting on a hefty long position. 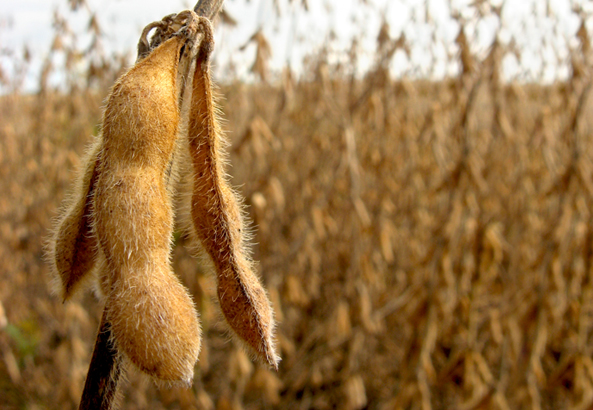 May 14 Soybeans closed at $14.84 1/2, up 20 1/2 cents; Jul 14 Soybeans closed at $14.57 1/4, up 27 3/4 cents; May 14 Soybean Meal closed at $482.70, up $3.40; May 14 Soybean Oil closed at 41.40, up 98 points. Corn: The corn market settled around 5 to 7 cents higher, with fund money stepping in for an estimated net 8,000 contracts on the day to further increase their already weighty long-holding. Momentum from yesterday's session, with the bullish impetus of the USDA estimating 2014 US corn plantings around a million acres lower than the market expected, was carried over into today. Early US spring corn planting in southern states is delayed. Texas corn planting is 28% complete versus 53% a year ago and 48% for the 5 year average. Louisiana corn planting is 75% complete versus 94% a year ago and 84% on average. Mississippi corn planting is 30% complete versus 43% a year ago and 47% on average. Meanwhile, there's a worry that things will also be behind schedule in the Midwest too later this year. "Midwest fields are still mostly frozen at the end of March, threatening to delay corn planting. Fieldwork ordinarily begins in late April in preparation for corn planting May 1, but deep penetrating frost is a hindrance to timely planting," said Martell Crop Projections. In Brazil, IMEA estimated Mato Grosso's 2013/14 corn crop at 15.23 MMT versus a previous estimate of 17.04 MMT and compared to last year's crop of 22.54 MMT. Taiwan Sugar Corp bought 20,000 MT of US corn and 15,000 MT of US beans for May/June shipment. Ukraine said that it had exported 2.6 MMT of corn in March and almost 17.3 MMT of corn so far this season, up nearly 59% from 10.9 MMT a year ago. The Energy Dept will release their weekly ethanol production numbers tomorrow. Last week's output was 885k barrels/day, which remains less than the level required to hit the USDA's target for the season. May 14 Corn closed at $5.07 1/2, up 5 1/2 cents; Jul 14 Corn closed at $5.12 1/2, up 5 3/4 cents. Wheat: The wheat market closed lower as scattered showers moved through the Southern Great Plains, with more in the forecast. Russia, Ukraine and Australia are all set to receive timely rains too. Last night the Kansas wheat crop was rated 32% good to excellent down 1% from a week ago. The Oklahoma wheat crop was 17% good to excellent, unchanged from a week ago. US Wheat Associates said that Indonesia's 2013/14 US wheat imports may reach 1 MMT versus 534,000 MT in 2012/13. The Kazakhstan Ag Ministry said that the country has exported 6.78 MMT of grain by rail between July 1st and March 30th versus 5.24 MMT in the same period a year ago. The Ukraine Ministry said that the country had exported 27.5 MMT of grains from July 1st to March 31st, up from 19.5 MMT in the same period a year ago. Wheat accounts for 7.8 MMT of that total versus 6.3 MMT a year previously. Wheat has come up a long way in a short time. 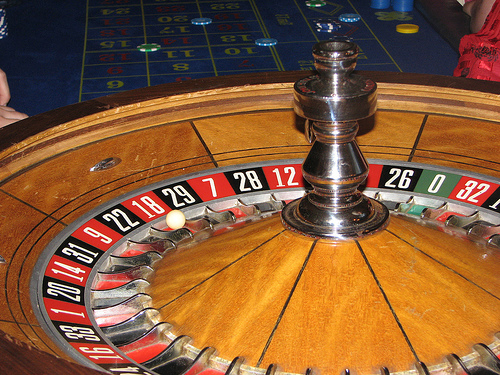 Is the rally running out of steam? Benson Quinn Commodities said "The negative stance on the technical structure in the wheat markets continues. Today’s price action isn’t going to offer optimism to the bulls, but all three contracts did respect their 20 day moving averages and didn’t get a chance to test yesterday’s lows. I expect fund selling to increase on trade below both these levels, which would allow for a meaningful correction." May 14 CBOT Wheat closed at $6.85 1/4, down 12 cents; May 14 KCBT Wheat closed at $7.53 1/2, down 10 1/2 cents; May 14 MGEX Wheat closed at $7.35 1/4, down 7 1/2 cents. 01/04/14 -- EU grains began the new month mixed, with little change. May 14 London wheat closed GBP0.75/tonne lower at GBP165.00/tonne, whilst new crop Nov 14 was GBP1.00/tonne easier at GBP155.50/tonne. May 14 Paris wheat closed EUR0.25/tonne higher at EUR208.00/tonne, Jun 14 Paris corn was up a euro at EUR187.00/tonne and May 14 Paris rapeseed rose EUR2.75/tonne to EUR409.75/tonne. Fresh news was relatively light. Copa Cogeca forecast an EU-28 rapeseed crop "close to 21 MMT" this year, that's down slightly on 21.3 MMT in 2013 despite a small rise in planted area. The estimate is almost identical to last week's EU Commission and Coceral forecasts of 21.1 MMT. They reported "a positive crop situation due to the mild winter this year and good winter sowings." Adding that "although it is still very early on in the growing season, crops look in very good condition." For soft wheat output they estimated the EU-28 crop at 136.2 MMT, up 2.7% on last year. Again this is very close to the number released by Coceral last week (135.9 MMT). "The UK situation is positive, despite the severe floods. But in some countries like Spain it was too early to say and figures are still cautious for the EU," they said. "Baltic states are meanwhile facing a huge rate of winter kill (around 80%) and are looking for available spring seed varieties," they added. The EU-28 all wheat crop was forecast 2.6% higher at 144 MMT, a 3.5 MMT rise on last year. Areas where they fell less in line with Coceral were in their forecasts for EU-28 corn and barley production. They estimated the EU-28 barley crop at 58.6 MMT, a fall of only 300 TMT on last year - less than a half of one percent. Coceral last week suggested that Europe's barley crop would fall by almost 7% to 55.3 MMT this year. Copa Cogenca were also relatively bullish on this year's corn production prospects, forecasting output rising 3.6% to 66.6 MMT on improved yield potential. Coceral only estimated the EU-28 corn crop at 63.7 MMT last week. The Ukraine Weather Centre said that the country had suffered a 25-40% rainfall deficit this winter, and in some areas deficit totals were as high as 40-50%. Nevertheless "moisture content reserves throughout the most of Ukrainian territory are favourable for winter and spring crops," they said. Decent rains are in the forecast for Ukraine in the 7-15 day time frame. Before then though there's a chance of frost across the next couple of nights, with similar conditions in the forecast for Russia. The Ukraine Ministry said that the country had exported 2.98 MMT of grains in March, up from 2.82 MMT in February. Corn accounted for the vast majority of last month's exports at 2.6 MMT. Ukraine's 2013/14 marketing year to date exports are now 27.46 MMT, up more than 40% on a year ago. That includes almost 17.3 MMT of corn and 7.8 MMT of wheat. Bulgaria said that they'd exported a record 3.14 MMT of wheat so far this year, and that 2.18 MMT of it had been sold to Europe. They've also exported 1.52 MMT of corn, with European buyers taking 1.07 MMT of that. 31/03/14 -- Soycomplex: Beans closed a choppy session sharply higher on the nears and a bit weaker on the deferred months. The USDA's stocks and acreage report came in pretty much bang on expectations. They confirmed that US farmers intend to plant a record 81.5 million acres of soybeans this spring, which is 5 million more than a year ago. The average trade guess was 81 million, from within a range of estimates of 78.5-83.6 million. The USDA pegged March 1st soybean stocks just below a billion bushels at 992 million (the lowest since 2004) versus an average trade guess of 992 million, a range of guesses of 955 million to 1.087 billion and 998 million a year ago. The confirmation of another very tight old crop year was ultimately responsible for sharp gains on the nears, even if the numbers were largely anticipated. In other news, Safras e Mercado said that the Brazilian bean harvest was 73% complete, up from 67% a week ago, versus 72% a year ago and 64% normally. They estimated the Brazilian bean crop at 86.924 MMT versus a previous estimate of 86.144 MMT. AgRural went the other way and estimated the Brazilian bean crop at 85.6 MMT versus a previous estimate of 85.9 MMT. Weekly US soybean export inspections came in at 506,039 MT versus the expected 525-675 TMT. Fund money was estimated as being a net buyer of 10-12,000 soybean contracts on the day. May 14 Soybeans closed at $14.64, up 27 1/2 cents; Jul 14 Soybeans closed at $14.29 1/2, up 21 3/4 cents; May 14 Soybean Meal closed at $479.30, up $10.90; May 14 Soybean Oil closed at 40.42, down 6 points. Corn: The corn market closed a choppy session around 10 cents higher. Heavy fund buying - estimated at around a net 20,000 contracts on the day - was seen after the USDA said that US farmers would "only" plant 91.7 million acres of corn this spring. The average trade guess had been a million higher than this, although the number wasn't completely off the wall, as the range of guesses was 90.5-94.0 million. Plantings last year were a 75-year high 95.4 million, so this year's estimate represents a drop of nearly 4% versus 2013. March 1st US corn stocks were estimated at just over 7 billion bushels, exactly what the trade was looking for, so there were no surprises there. Safras e Mercado said that the Brazilian first corn crop is 65.6% harvested versus 54.2% a year ago. They said that the Brazilian second corn crop is 98.5% planted versus 99.4% a year ago. Israel is tendering for 85,000 MT corn and 20,000 MT of feed wheat for May June shipment. Taiwan Sugar Corp is in the market for 20 TMT of US corn and 15 TMT of US beans for May/June shipment. Weekly US corn export inspections came in at a strong 1.328 MMT versus the expected 950 TMT to 1.15 MMT. Russia said that it had exported 3 MMT of corn so far this season. APK Inform said that Ukraine had exported 563 TMT of corn last week, down from 655 TMT the previous week, but still a good volume for this time of year. The Ukraine Ministry said that early corn plantings there had just about begun. They estimated the Ukraine 2014 corn area at 5.0 million hectares versus 4.8 million a year ago when they produced a record crop. Yet current trade estimates are for Ukraine to produce only around 23 MMT this year due to reduced yields and lower inputs. May 14 Corn closed at $5.02, up 10 cents; Jul 14 Corn closed at $5.06 3/4, up 10 1/2 cents. Wheat: The wheat market only managed to put in modest gains, despite support from corn and beans. The USDA estimated the all wheat area for the 2014 US harvest lower than anticipated at 55.8 million acres. The average trade guess was for plantings of 56.3 million, from within a range of 54.8-57.7 million. The "other" spring wheat area was pegged at 12 million acres versus the average guess of 12.3 million. March 1st US wheat stocks were estimated at just over a billion bushels, and at almost exactly what the trade was expecting. Weekly US export inspections came in at 492,577 MT versus the expected 450-550 TMT. The Texas wheat crop was reported as 11% good to excellent, down 2% from a week ago. The crop was rated 59% poor to very poor, up 7% from a week ago. The Oklahoma wheat crop was put at 17% good to excellent, down 1% from a week ago. Pakistan have begun harvesting their 2014 wheat crop. Recent favourable weather could see output exceed the official government estimate of 25 MMT it is thought. Production last year was 23.8 MMT. India's wheat harvest has been put on hold due to recent wet weather, and may not begin for another week or two yet, around 10-14 days later than normal. The forecast there is now drier than normal for the next couple of weeks. Australia's south and east is in for good soaking rains ahead of planting time across the next 14 days. Dryness concerns remain in Western Australia, where there is little moisture in the 14-day forecast. Reuters reported that Ukraine is proposing to end the VAT redemptions on grain exports, which could possibly mean a 20% rise in costs to exporters. This would doubtless be passed back into ex farm prices. The Ukraine VAT refund system has never run smoothly by all accounts. The IGC said that managed money was sitting on it's largest CBOT wheat long position since Nov 2012 based on Friday's Commitment of Traders report. May 14 CBOT Wheat closed at $6.97 1/4, up 1 3/4 cents; May 14 KCBT Wheat closed at $7.64, up 1/2 cent; May 14 MGEX Wheat closed at $7.42 3/4, up 3 cents. The day ended with May 14 London wheat down GBP1.50/tonne at GBP165.75/tonne, and with new crop Nov 14 London wheat closing GBP1.60/tonne lower at GBP156.50/tonne. May 14 Paris wheat closed EUR2.00/tonne weaker at EUR207.75/tonne, Jun 14 Paris corn was up EUR0.75/tonne at EUR186.0/tonne, whilst May 14 Paris rapeseed slumped EUR5.25/tonne to close at EUR407.00/tonne. It appears to be "business as usual" back in Ukraine. Farmers there have planted 2.263 million hectares of early spring grains, or 81% of plan, according to the Ministry of Agriculture. Growers in Ukraine have also just got started with corn plantings, they added. APK Inform said that Ukraine had exported almost 675 TMT of grains (including 563 TMT of corn and 111 TMT of wheat) via it's seaports last week. That's down on the previous week's total of almost 920 TMT, but still not a bad volume at all for this time of year. Russia'a Ag Ministry said that they'd exported just over 1.5 MMT of grains so far this month (to Mar 26), including 920 TMT of wheat and 502 TMT of corn. The 2013/14 marketing year to date total is now 20.345 MMT, up 44% on a year ago, of which around 15 MMT is wheat, 3 MMT is corn and 2 MMT is barley. 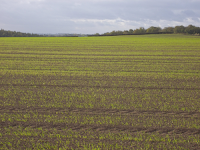 RMI Analytics said that UK spring malting barley plantings are around 95% complete in East Anglia, and 70% done in Southeastern England, mostly into a good seed bed. In Scotland, the crop is around 30% planted nationally, with the Borders 40% done and the Aberdeenshire/Lothians area 15-20% done, they added. Pakistan have begun their 2014 wheat harvest, and favourable weather conditions mean that they may bring in a crop in excess of the government's forecast 25 MMT, analysts say. Last year's crop was 23.8 MMT. India's wheat harvest has been delayed by rain, and could be 10-14 days later than normal. The 14 day forecast is generally drier than normal. Iraq are tendering for at least 50 TMT of US, Canadian, Australian, Ukraine or Russian wheat. Jordan are in for 150 TMT of optional origin feed barley.